The brim flips up around edges. 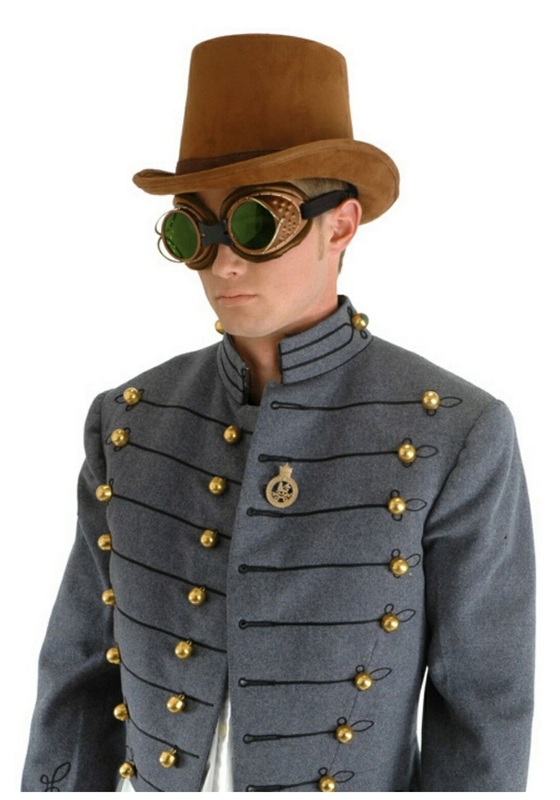 We have to admit, we do not always fully “get” the steampunk aesthetic. Cerebrally, it just doesn’t make sense--is it the look of the future, or of the past? But not getting it doesn’t stop us from loving it! It’s so cool. Whenever we see a really awesome steampunk outfit, we understand that true steampunk style is elusive and difficult to capture in words. So if you want to make your ensemble speak volumes about your favorite trend, this durable Brown Suede Coachman Hat will be a huge help! Remember, a well dressed gentleman should never leave home without his hat--and we’re pretty sure that rule is as applicable in the distant future as it was back when steam engines were just hitting the scene! I bought this hat with the wonka costume knowing the hat that came with the costume was going to be cheap looking. Im soooo glad I did cuz it was just that!! This hat is awesome. It also comes with an adjuster inside to make it fit better so it won't cover your eyes if too big. It makes the wonka costume so much better looking!!!! !